Jordan, an old Erie Canal village, is located in the northwest part of the Town of Elbridge. Elbridge, west of Syracuse within Onondaga County, has a population of about 6,000, and is named after Elbridge Gerry, a Vice President of the United States who signed the Declaration of Independence. Tessy Plastics, a manufacturer of molded plastic products, is located there. The personal injury and medical malpractice lawyers of Michaels & Smolak have represented many clients from the Jordan-Elbridge area, including most recently a woman who sustained cervical strain and rib contusions, along with decreased hand grip and sensation after a fall. 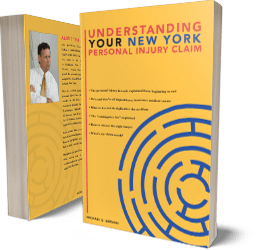 Most these clients decide to hire Michaels & Smolak because of references either from prior clients or local lawyers who recommend the firm for its expertise in the personal injury and medical malpractice field. Directions to the Michaels & Smolak’s Auburn office can be found HERE, but the firm also has offices in Syracuse and Liverpool.